Start your career in aviation with the right training. Many opportunities await those who are interested in pursuing a career in the aerospace and aviation industries. Some of these opportunities include jobs in air traffic control, jet mechanics, systems engineering, aircraft design, computer systems, space exploration, airport management, and many, many more. Not only are there an astounding number of jobs available in the aviation and aerospace industries, but in particular, jobs for licenced pilots are extensive. Additionally, the demand for those with commercial pilot training is expected to grow over the next decade as new aircraft become available and many of today’s pilots begin to retire. As a commercial pilot, there are multiple career paths you can explore, such as working for one of Canada’s many commercial airlines or becoming a charter flight provider or regional aviation service provider. You can also pursue opportunities in specialized aviation fields, such as agricultural spraying, forest firefighting, MEDEVAC, surveillance, and others. At Genesis Flight College, we can provide the commercial pilot training required for a successful, exciting, and challenging career in the aviation field. We will help you earn the basic credentials needed for moving into a flying career while also helping you gain valuable, hands-on experience. We are an approved private career college that serves the Barrie, Ontario area, and we offer a wide range of amenities, state-of-the-art training facilities, and training opportunities with highly experienced aviation professionals. For further information about our commercial pilot training options, please give us a call today. 20 hours of instrument flight time in addition to the experience required for PPL. 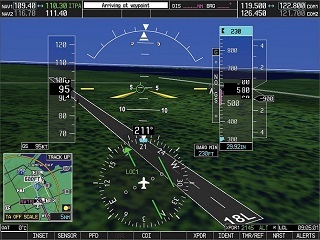 A maximum of 10 hours of the 20 hours may be conducted on an approved aeroplane simulator or flight-training device. At Genesis Flight College, we offer career pilot training to residents of Barrie, Collingwood, Toronto, Aurora, Brampton, Caledon, Markham, Newmarket, Richmond Hill, and Vaughn, Ontario.